At least four Jews are killed in a Kosher shop in Paris, as we enter the Sabbath. 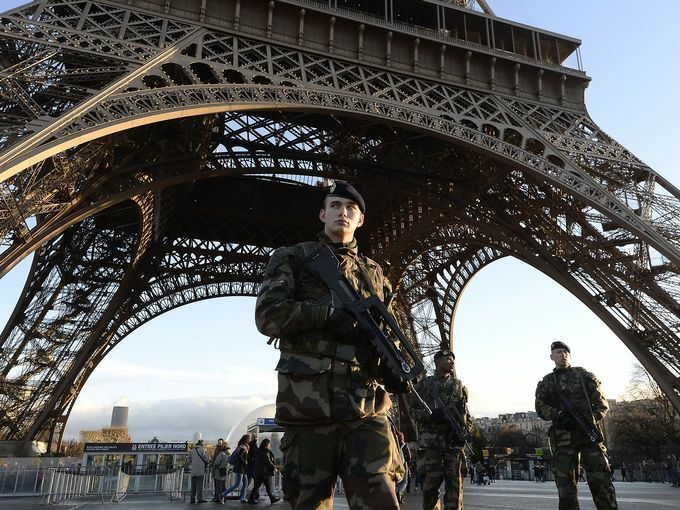 It looks too late for the police in Paris, to avoid the outbreak of Jihad on the soil of France. Several people were taken hostage at a kosher supermarket in eastern Paris on Friday after a shootout involving a man armed with two guns, a police source said. Four people were killed, according to police sources quoted by AFP. There were unconfirmed local media reports that the man was the same as the one suspected of killing a policewoman in a southern suburb of Paris on Thursday. One of the reasons for Hitler knocking down the borders between Germany and France, was to get his hands on the Jews. In the days from 1940 to 1945 the Jews were targeted every day. 75.000 Jews were deported and were slain in the Holocaust. Today, it is the neo-nazi forces of Islam who targets Jews and Jewish properties. It was a gross betrayal of the free world, when France voted for a Sharia kind of enforcement of peace up on the state of Israel, disgracing its seat in the United Nations. Now France face the curses, its leaders have called down on the nation. There is no easy way to deal with this carnage. There are simply to many Muslims in France, and complete lack of political willingness to start the deportation process. Most likely France will be dragged down in the cutters of civil war. Where the Frenchmen at large will have to fight for their own life, no longer trusting that their government can protect them. Jesus the Messiah spoke about an outpouring of evil forces at the end of the age. Now we can see it. The prophetic word is being fulfilled. At the end of the road, a panicky world population will welcome a false Messiah, the last antichrist. But no true Messianic believers. They will eagerly await the Jewish Messiah to return. Yeshua of Nazaret. He will come back and save all who are waiting for Him.Amen. Please stand united with the Jewish people in their times of trouble. Correct! It is now too late, the fall of France to Islam and Shariah law had begun! The more a country hates Jews the more God sends them The Curse (Islam). Reblogged this on L'horreur islamique ن.